Seamless construction is a popular method for constructing knitwear because it requires minimal finishing. 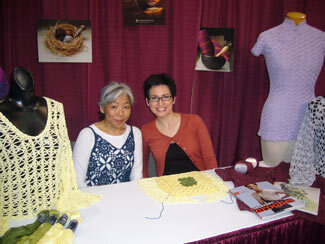 Getting Started: Jan Gratz reviews circular needles with Eunny for knitting in-the-round, a popular technique to seamless construction. Designer Spotlight: Kim joins crochet designer Doris Chan, known for her beautiful crocheted pieces that use top-down, seamless construction. 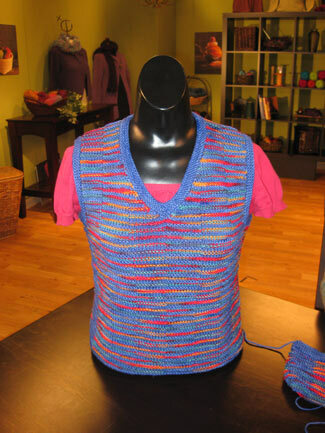 How-To: Eunny demonstrates a festive vest that is knit in-the-round in a fine, merino wool, and uses fun stitch motifs to give the illusions of shadows. 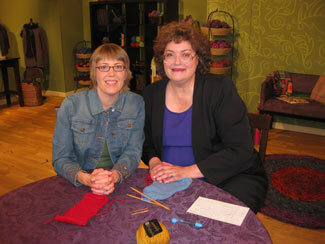 You Asked It: Jan Gratz is back with Liz to talk about seamless socks and demonstrate the dreaded kitchener stitch. 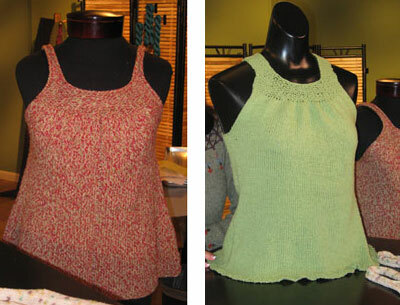 You Made It: Check out many versions of Katie Himmelberg’s popular frock camisole, originally featured in Interweave Knits magazine. 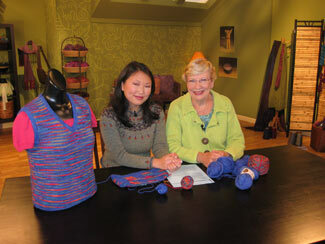 Eunny explains what knitters have done to make this design their own.